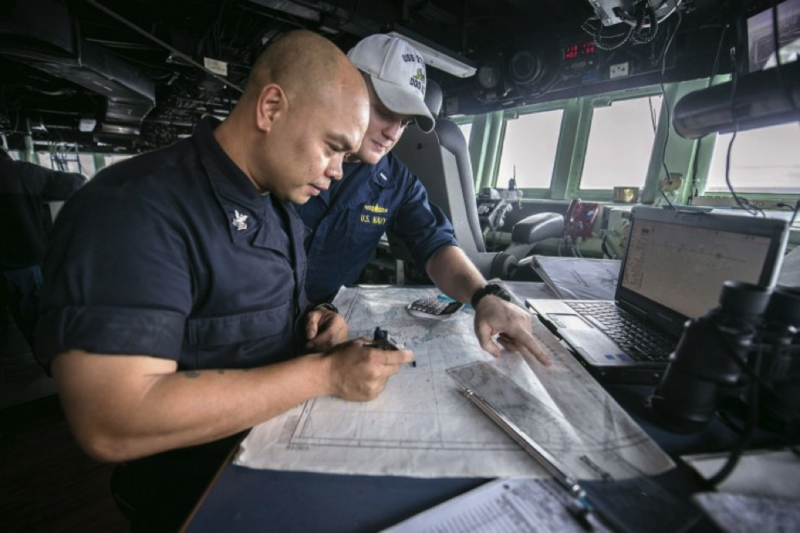 Stottler Henke teamed with General Dynamics, Monterey Technologies, Inc., SPAWAR Systems Center Pacific, and Leidos, Inc. to develop the Mission Planning Application for the U.S. Navy. This system uses integrated maps and timelines to enter and display planning data and decisions quickly and effectively. The Mission Planning Application is included in the AN/BYG-1 Submarine Combat System, and deployment aboard U.S. Navy surface ships is planned. Decision aids and interfaces to data sources accelerate route planning and other planning tasks. For example, Mission Planning Application technology can review thousands of chart markings in a fraction of the time required by manual review, pinpointing potential hazards and creating optimal routes around rocks, reefs, and other shallow spots. What now takes days could take just a few hours or less, freeing commanders to concentrate on safely executing the mission at hand.